The President is appointed by the Board of Trustees and reports directly to the board. The President is a strong visionary leader with sufficient knowledge of and experience to operate the university. The university representative with the main constituencies nationally, regionally and internationally. Managing and directing all academic related operations and programs within the University. Establishment of strong fundamentals to advance the University‘s growth and maintain its success. Development of effective educational programs to promote and distinguish the University‘s stature nationally, regionally and globally. To report to the Ministry of Education and other academic bodies. The President should be a distinguished leader with an exceptional record of decision-making, community engagement and effective leadership to successfully amalgamate and maximize available resources within the University internally and externally for the stimulation and attainment of institutional uniqueness. Exercising effective leadership and management of fiscal responsibilities in fundraising, marketing and public relations and in strategic planning for AFU. Taking full responsibility for all aspects of the academic, student, administrative and financial operations of AFU. Overseeing the planning related to institutional goals, academic programs, research and scholarship, public service, enrollment and physical plant development. Preparing University budget and representing the budget to the BOT for approval. Calling the University Council and Deans’ Council for meetings, presiding over the meetings and overseeing the implementation of its recommendations. Preparing and submitting an annual report to the Board of Trustees explaining the university achievements, challenges and future plans. Prof. Abdelhafid Belarbi obtained his Ph.D. in Economic Development and Econometrics from University of Cincinnati, Ohio, USA. Prior to joining Al Falah University in Fall Semester AY 2017-2018, Prof. Belarbi has an extensive academic and administrative experience from universities in USA, Algeria, Jordan and the United Arab Emirates. His management responsibilities included being Department Chief of Finance and Banking, Department Chief of Tourism and Hospitality, Deputy Dean of Business Faculty, Vice President at multiple university campuses. He also served as consultant for knowledge management. Prof. Belarbi being active in research has published numerous papers in notable Economics and Business journals. His research interests comprise papers on Higher Education Risk Management, Asymmetric Information in Higher Education, Environmental Economics, Industrial Organization, Managerial Economics, and Islamic Economics & Finance. He has also participated in several local, regional and international conferences, invited as guest speaker at numerous National TV productions and at the Ramadan’s Royal Scientific Council in Amman and as Inter-Faith Dialogue Contributor. Delivers administrative support to the President of Academic Affairs through developing calendars, appointments, meetings, social and community engagements. The establishment of Al Falah University (AFU) is an expression of the wise attitude of our leadership towards education and its role in the welfare of society. In this modern and constantly changing world of ours, universities have stepped beyond the realm of teaching paradigm to become centers for learning, scientific research and community engagement.This development necessitates that Al Falah University should also transform itself into an establishment that fosters students' intellectual growth and adopts scientific research that aims at identifying problems and proposing solutions in order to push ahead with reform and overall development. Under the patronage of our leaders the country has achieved high levels of economic, educational and social accomplishments. The role of AFU is to effectively contribute to the development which the UAE is experiencing and to help pave the way for the prosperity that lies ahead. 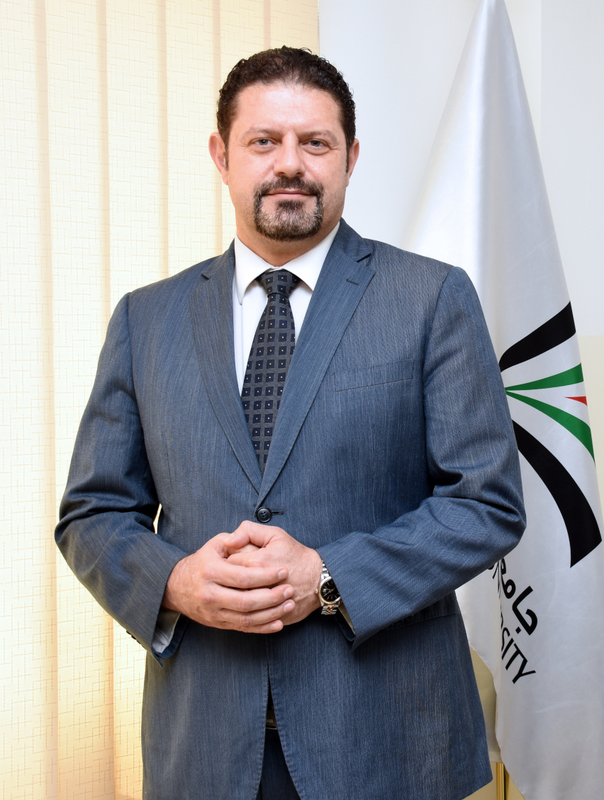 In this modern and constantly changing world of ours, universities have stepped beyond the realm of teaching to become centers for scientific research and planning .This development necessitates that Al Falah University should also transform itself into an establishment that fosters students' intellectual growth and adopts scientific research that aims at identifying problems and proposes solutions in order to push ahead with reform and overall development.